Something Marvelous is a theatre festival based in Chicago, IL. Each year, we put up a full production, conduct workshops of new plays in collaboration with playwrights, curate a series of special events involving local theatre companies, and lead a dialogue about imagination in the theatre. 2013 was our inaugural festival, with three readings, a Night of New Works, and a production of The Clean House by Sarah Ruhl. In 2014, we presented References to Salvador Dalí Make Me Hot by José Rivera and eight reading series events. The 2015 festival featured six world premieres of ten-minute plays in our Night of New Works, three workshops culminating in staged readings at the Chicago Cultural Center thanks to the DCASE In the Works residency, and four special events geared towards actors, directors, and designers. 2016 brought our first world premiere, Don't Look by Gina Doherty, as well as a continuation of our workshop series and special events. For more information, please visit our previous seasons page. Mary is delighted to be a part of the Something Marvelous team once again. A theater-geek since 2nd grade, it was serving as Dramaturg for our production of References to Salvador Dalí Make Me Hot in 2014 that made her a fan of magical realism. An arts administrator by day, Mary has worked in different capacities at a variety of Chicago's performing arts organizations since moving here after graduation from Ohio University where she majored in playwriting. Laura loves to make the impossible real on stage and on the screen (computer screen, that is). This is her fifth year with Something Marvelous, and during the day, you can find her working in as a user experience designer. She also co-hosts a podcast called The Short Game. Laura has a degree in Theatre from Northwestern, where she specialized in stage management and directing. Sarah is delighted to be part of Something Marvelous for a fifth year, and is proud to see the festival grow! She migrated from Tennessee to study theater and American history at Northwestern University, and stayed to do theater in Chicago. Sarah has acted onstage with companies such as Filament Theater Ensemble, Piccolo Theatre, Redtwist Theatre, & Tympanic Theatre Company, and onscreen with Fake Geek Girl Productions. She teaches ballroom dance to kids, and the Alexander Technique to students of all ages. When not reading plays, Sarah is listening to podcasts. Cruz was born and raised in Buenos Aires, Argentina, where she fell in love with magical realism at the age of 12, after reading Isabel Allende's La Casa de los Espiritus for a school assignment. She studied theatre, dance and voice in addition to obtaining a BA from the Universidad del Salvador. In her home country she worked as a director, choreographer and drama teacher. Since making Chicago her artistic home she has graduated from the IO Chicago Training Center and has continued her studies in Meisner, On Camera and Scene study. Her Chicago credits include: The Compass (Steppenwolf Theatre), The Grown Up (Shattered Globe), i put the fear of Mexico in em (Teatro Vista), The life and death of Madam Barker (Red Tape Theatre), Your problem with men (Teatro Luna), El Incas (Colectivo el Pozo), Corazon de Manzana (Mortar Theatre Company) and The Clean House (Something Marvelous). She is an artistic associate with Teatro Vista and passionate about inclusive and diverse casting. Allyce is an actor, teaching artist, and activist from San Diego, California. She fell in love with Something Marvelous when she played Gabriela in their 2014 production of References to Salvador Dalí Make Me Hot. Other recent credits include: Tea Flake in Chicago Danztheatre's Xtigone, as well as In Love and Warcraft and Estrella Cruz: The Junkyard Queen both at Halcyon Theatre. Allie is the director of Skin Deep, a theatrical initiative to aid those at risk for and struggling with eating disorders. She is a proud company member at Halcyon Theatre and is ecstatic to be continuing her work with Something Marvelous. Alex is a social media/creative pro by day, playwright and confirmed horror film addict by night (the rest of the time, too). She earned her B.A. in Film Studies from the University of Illinois, and an M.F.A. in Writing for the Stage and Screen from Florida State University. 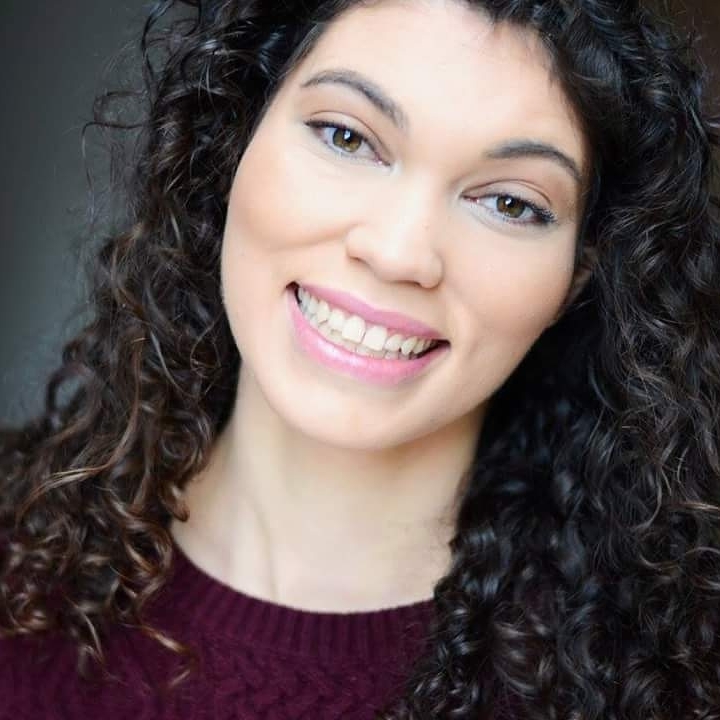 Her own work for the theater has earned her three semi-finalist nods at the National Playwrights Conference and readings and workshops from NYC to Daytona Beach to Chicago. Alex comes to Something Marvelous with a deep love of magical realism and its ability to make reality magical, while also making magic feel as plain as the nose on your face. Born and raised in the north suburbs of Chicago, Alex has recently taken up residence in the South Loop and spends her spare time blogging about arts criticism (onecriticalbitch.com) and painting portraits of dangerous women in neatly draped clothing (alexandralanders.com). Nick has served as Scenic Designer and Technical Director for Something Marvelous over the past 3 years and is so thrilled that Something Marvelous has become his artistic home. Previous and upcoming works include: Blood at the Root (ECC), The Last Five Years (JPAC), Juneteenth St (ETA Creative arts), Green Book, YPF (Pegasus Theatre Company), Memphis, Young Frankenstein (Parkland College), Revolt (Vision Latino Theatre), Shakespeare in Hollywood, Silent Sky, Book of Liz, Christmas Carol, The Tin Woman (Theatre of Western Springs).